Many qualities attracted me to Santa Cruz- the people, weather, and allure of a small town. Even with all of it's character and quirks, I couldn't help but note that the shopping seriously lacked. As a student, my weekends were spent traveling further up the coast to San Francisco, if only to find a decent pair of jeans. Stripe has brought an entirely different kind of shopping experience to Santa Cruz. The dense, yet thoughtful displays provide hours of delightful browsing. 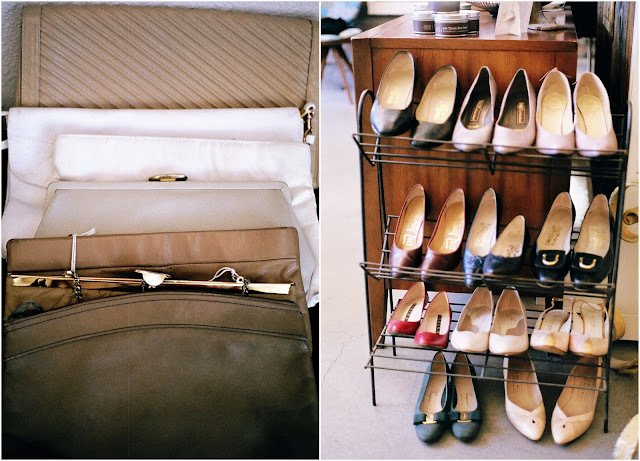 From newly curated items that range from well-known to independent designers--not to mention the scores of lovely vintage items-- there is something for everyone. 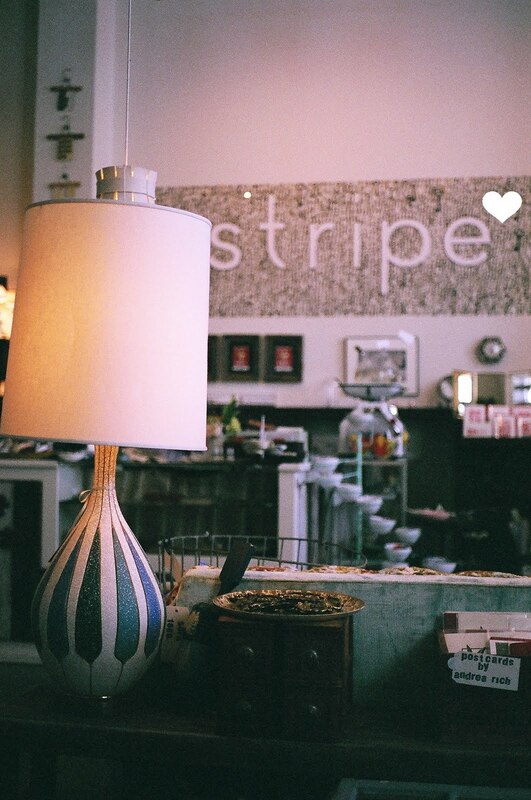 The key difference between Stripe and other stores is the excellent customer service. I feel like a favorite client even on my first visit. I got to meet one of the owners, Dana, and I understand why Stripe is so great. She is young, beautiful, laid back and in the know. 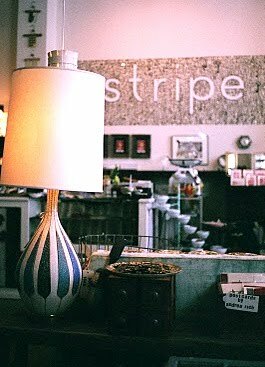 When I think about all the stores I love in LA, New York and San Francisco, I can honestly say there is no place like Stripe and I can't wait for my next trip up to visit. I'm impressed with their selection of collectibles which can be found throughout the shop. These vintage compacts make me feel like I am in Jean Harlow's bedroom. Some boutiques don't invite exploration. The artful presentation at Stripe welcomes browsing without worry. There's a lovely surprise around every corner, like these brightly colored wrapping papers. The hand stamped signs are easy to understand and add handmade charm. Their selection of antique glassware could beautify any cabinet or tabletop. There is one focal point in every section of the shop, this large metal mailbox caught my attention right away. I felt like I stepped back in time to my grandfather's office, or grandmother's boudoir. You can also find men's clothing, accessories, and general things beau's would enjoy. No detail is left unfinished, as evident in their decorated dressing room ceilings. See for yourself! You won't be disappointed. 107 Walnut Avenue Santa Cruz, CA 95060 (831) 421-9252See more photos here. Oh wow, I wish there was a store near me like that! HEAVEN! I am just swooning over that wrapping paper!